I have for you my EURGBP 0.40%analysis. 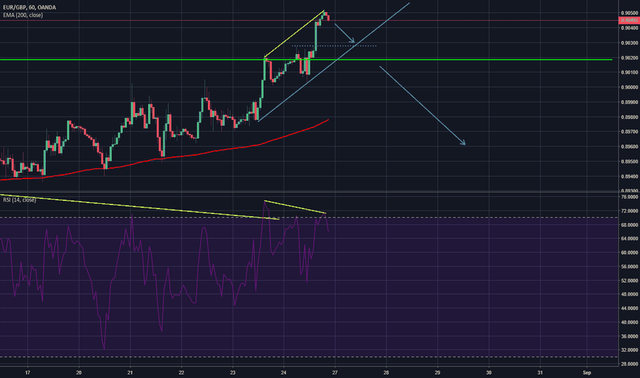 So what I am seeing on the 1H chart is a bearish divergence. So go short for now (0.9030 +/-), but to help out this analysis I also see that on the 4H chart we have a bearish trend too. So, in essence, It means that there is a big chance that we will be shorting all week pretty much + RSI is pretty overbought on 1D. Follow my facebook page for signals on forex, crypto, and stocks!